Clippers coach Doc Rivers was not in a good mood late Monday night. No one could blame him. As he sat on the dais addressing reporters following his team’s 98-84 loss at Portland in Game 4 that ended up being an absolutely disastrous night, Rivers was asked if he had concern that the Trail Blazers had wrested momentum away from the Clippers with their back-to-back wins at Moda Center in Portland, which tied the first-round playoff series 2-2. Rivers was terse, but respectful, in his response. This is exactly what Rivers should say. As a leader, he has to exude confidence, regardless of the situation. That’s why he’s considered to be a strong leader of men. Still, it’s going to be tough now for the Clippers to accomplish anything real good in the playoffs. As we all know, power forward Blake Griffin has been deemed out of the playoffs by the team because of his still-partially torn left quad tendon that was aggravated in Game 4. 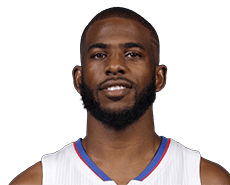 Point guard Chris Paul is out indefinitely after having surgery Tuesday to repair a fractured third metacarpal in his right hand, an injury also sustained Monday. This news came Tuesday, the day after Rivers made the aforementioned comment. But Rivers knew it was going to be bad news. His face showed it. The word “indefinitely” comes from a Clippers news release. Basically, it’s a 4 to 6 weeks thing. That means if the Clippers were to win this series, beat Golden State in the conference semifinals and either San Antonio or Oklahoma City in the finals to reach the NBA Finals without Paul and Griffin, Paul could possibly come back. Well, chances of that happening with the two best players on the team out, are about slim and none. What’s a shame for the Clippers and their fans is they looked so good the first two games of this series. There had to be hope they could give the Warriors at least a fight next round – especially now that MVP Steph Curry will likely miss the first few games because of a sprained knee. One thing’s for sure, it will be interesting to see how the Clippers come out in Wednesday’s game. Are they broken? We’ll see. To say Clippers coach Doc Rivers and his players were bummed out following Monday’s 98-84 Game 4 loss to the host Portland Trail Blazers at Moda Center, would be putting it mildly. Not only the the Trail Blazers tie the series 2-2 with Game 5 on Wednesday night at Staples Center, the Clippers lost Chris Paul – probably for the series and maybe for the season – when Paul sustained a fracture of the third metacarpal in his right hand during the third quarter. It happened when Paul was guarding Portland’s Gerald Henderson. That’s not all. Blake Griffin’s partially torn quad tendon is acting up again, and he wasn’t able to play down the stretch. He said Griffin felt it when he planted on the leg. Griffin was asked post-game if he thinks he’ll play Wednesday. The biggest concern was Paul. He has easily been the best player on the team this season, and was having a fine series. Griffin said he spoke with Paul before Paul left Moda Center. “Yeah, I talked to him,” Griffin said. “I mean, he’s clearly disappointed, upset. But there’s nothing you can do. You try to tell a guy like that that, you know, ‘It’s OK, we got you and it’s going to be OK,’ but he’s a competitor and he wants to play, so it’s tough. 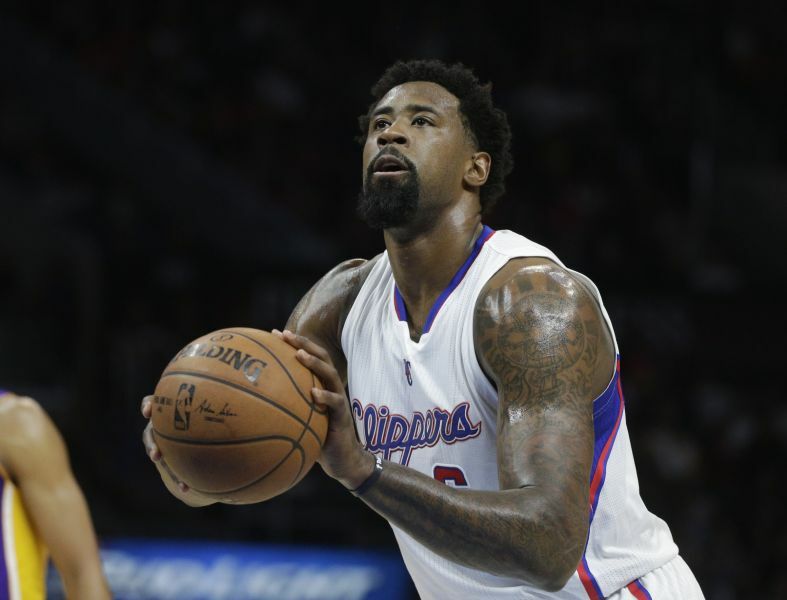 Sixth-man Jamal Crawford spoke in soft tones when assessing the loss of Paul. Griffin missed 45 consecutive games with the quad injury, a fractured right hand and four-game suspension before playing in five of the final seven regular-season games. The NBA sent out a news release Monday regarding the schedule for the Western Conference semifinals. It says that if the Clippers-Trail Blazers and Golden State-Houston first-round series end in six games or less, the semifinals will start May 1. If either series goes seven games, they will begin May 3. That means that, either way, Steph Curry of Golden State figures to miss the at least the beginning of the semifinals because he will out at least two weeks with a Grade 1 MCL sprain in his right knee, an injury sustained Sunday in Houston. Clippers coach Doc Rivers was asked Monday night before his team was to take on the Trail Blazers in Game 4 of their series if it is hard not to do the math on that even though his team is currently dealing with Portland. The Warriors lead their series with Houston 3-1. If the Clippers get past Portland in their first-round playoff series, they would likely play the Golden State Warriors in the Western Conference semifinals. Some of that series could be played without reigning MVP Steph Curry. The Warriors’ guard on Monday was diagnosed with a Grade 1 MCL sprain, an injury sustained Sunday during the second quarter of Golden State’s 121-94 victory at Houston in Game 4 of their series; the Warriors lead 3-1. This is the release posted on Golden State’s website: Warriors guard Stephen Curry underwent an MRI this morning that revealed a Grade 1 MCL sprain in his right knee. He will be re-evaluated in two weeks. Curry suffered the injury on the last play of the first half of Game 4 last night at Houston and was diagnosed with a sprained right knee by the team’s medical staff on site. Clippers coach Doc Rivers told reporters at the morning shootaround ahead of Monday night’s Game 4 at Portland that he didn’t realize Curry could be seriously injured; this was before news came of the diagnosis. “I don’t want anyone to get injured, ever, so I hope he’s healthy,” Rivers said. The Clippers lead their series with Portland 2-1.